"When I am getting ready to reason with a man, I spend one-third of my time thinking about myself and what I am going to say, and two-thirds about him and what he is going to say." 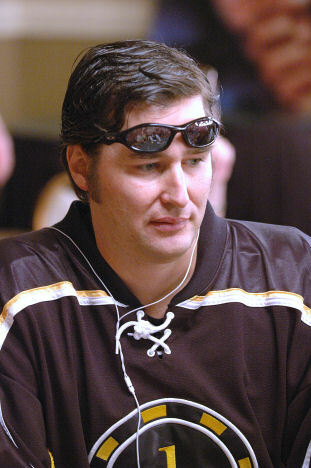 Poker players should rent themselves out as sponges considering how self-absorbed they tend to be. This bit of reality though seldom occurs to most players. You would think people who have zero interest in hearing other people's bad beat stories would realize that nobody wants them to tell THEIR bad beat stories! Now that I've written that, and you've read the Abe Lincoln quote that opens this article, your mind might be going over how I'll be suggesting that perhaps you should give more thought to walking a mile in the other guy's shoes. I am, but it's more than just that. Here is a not-so-secret poker secret: most of your opponents are self-absorbed! Most are not sitting there thinking about YOU! You could burst into flames and some of them wouldn't notice. Strategically, this is not a trivial thing to understand. While many (but not all) better players will be more like Abraham Lincoln, where they concern themselves primarily with what you (and their other opponents) will do, I think it is safe to say that most players think primarily of their cards, their "brilliant" plays, their good or bad luck, their "bad beats", their bankroll, and on and on. Poker isn't solitaire. Poker is a competition between people. We each have a lot of control over our own actions, but we have only a smallish amount of influence over the other players. We should always be trying to influence and manipulate our opponents -- this is critical -- but there is only so much we can do about that. However, we can do a lot more in terms of understanding our opponents. What makes them tick, their motivations, their concerns (like short bankroll or lying to the spouse or getting back to the office before the boss), how their style of play meshes with other people at the table, etc. Like Survivor, the game is about outplaying, outwitting and outlasting your opponents. The game is not about you. Your cards and how you play them are just one of the many details in the game. And they are by far the easiest details/information to digest and react to. Everyone else in the game is not silently sitting there thinking, "Gosh, I wonder what Biff was dealt this hand and how he is going to play it." No, hardly anyone gives a crap about what you have and what you are going to do. They are sitting there thinking that the world revolves around them... as if there is a spotlight only focused on their self-absorbed chair inside this big casino. I'm constantly amazed when good players say "what did he put me on?" after they get sucked out on. Not always, but usually the answer is "they were thinking about themselves and what you were thinking about them." Poker isn't what Lincoln was talking about, reasoning with people, but it is interacting with them, and coming out of the exchange with the upper hand. Poker is a puzzle. It's a mystery where we have to put pieces together the best we can with incomplete information. But don't convince yourself that you are putting the puzzle together by yourself. Your opponents contribute all the time (sometimes unhelpfully) to the building of your puzzle. You need to think about how to get them to help you in productive ways. One part of accomplishing that starts from understanding they usually are absorbed with their own personal drama (or sitcom). Ego isn't just useless at a poker table, self-absorption is delusional and counterproductive. The game exists because you engage with other people. You profit by extracting value from them. I suppose everyone would prefer to watch slides of their Hawaiian vacation instead of slides of some other person's trip to the gas station. I suppose most everybody thinks they are more interesting than they are. Well, get over it. In a poker game, no one cares about you (except perhaps if you are an extremely good or extremely lousy player). Focus on what your opponents are doing and why, and remember they hardly ever break away from their favorite mental food, themselves, to think about boring, old you.